With influencers, however, you are putting your message across to audiences who have chosen to receive content from these influencers. So it is not as pushy and helps to build credibility for your brand too. When it comes to B2B influencer marketing, however, it still remains a tough nut to crack. This is because B2B brands usually have a diverse set of customers across various industries. So finding an influencer who has substantial influence across such a diverse group can be quite difficult. So B2B influencer marketing requires much more time and effort to accomplish. However if done right, it can be immensely valuable for your business. Microsoft, a technology leader, partnered with National Geographic for a unique B2B influencer marketing campaign this year. They leveraged some of the most famous adventure photographer influencers on Instagram for this. Specifically, Microsoft’s objective was to encourage young women to work in Science, Technology, Engineering, and Math (STEM) disciplines. Microsoft wanted to empower women to pursue their dream jobs. They called it the “Make What’s Next” campaign. Each of these 30 photos featured the story of a woman adventurer or scientist. These results were nothing short of phenomenal. These photos recorded over 3.5 million total likes in a day. By leveraging National Geographic’s Instagram followers, Microsoft was able to reach about 91 million people. With this powerful campaign, they proved once again that they are the leaders in innovation. You are already aware that B2B influencer marketing is not as simple as B2C influencer marketing. IBM, a market leader in technology has clients spanning banking, financial services, technology, and education sectors to name a few. Hence finding an influencer who can influence such diverse audiences is quite difficult. IBM overcomes the challenge of finding the right influencer by using employee advocacy. And boy do they do a good job of it. In fact, you could go so far as to say that they’re a pioneer when it comes to employee advocacy. The basic underlying principle here is that your employees are the ones who know your products best. Not only have they created some of those products, but are also responsible for selling them. Hence you can easily leverage them to influence your potential customers. 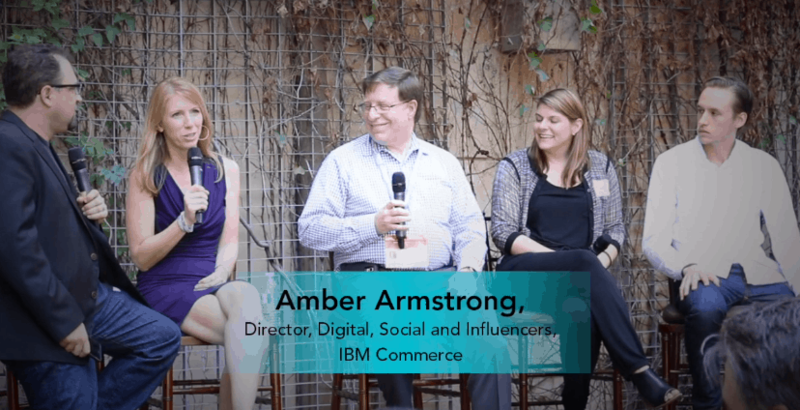 Amber Armstrong, Director, Digital, Social and Influencers at IBM Commerce, speaks about the importance of custom tweets from employees at the SXSW event. She also mentioned that she strongly encourages such tweets as they are great for their brand. You can view the complete video of the discussion here. Here’s another example of IBM’s innovative B2B influencer marketing. IBM Watson is an Artificial Intelligence (AI) platform that helps businesses in various different industries. The IBM Watson platform has enabled fashion designer Gaurav Gupta to create the world’s first AI-inspired saree. This was unveiled at the Vogue Women of The Year Awards. The saree was fitted with color changing LED lights and together with IBM’s technology, it changed color based on each winner’s personality. Notice how uniquely IBM’s platform is being marketed here using a celebrity designer as an influencer. We have discussed the need for B2B influencer marketing to go beyond the traditional B2C influencer marketing techniques. A great way of using it to promote your brand to other businesses is by leveraging your existing customers. Businesses trust the opinion of others in the same space or industry. So if you can promote your business using some of the success stories of your customers, it will add credibility. Your potential customers will value the reviews and recommendations shared by your existing customers. Thus your existing customers can influence the buying behaviour of your target market. Okta, a technology company that provides identity management solutions to businesses, leverages their customers for their promotion. They have created a series of compelling videos where their customers share some of their success stories. 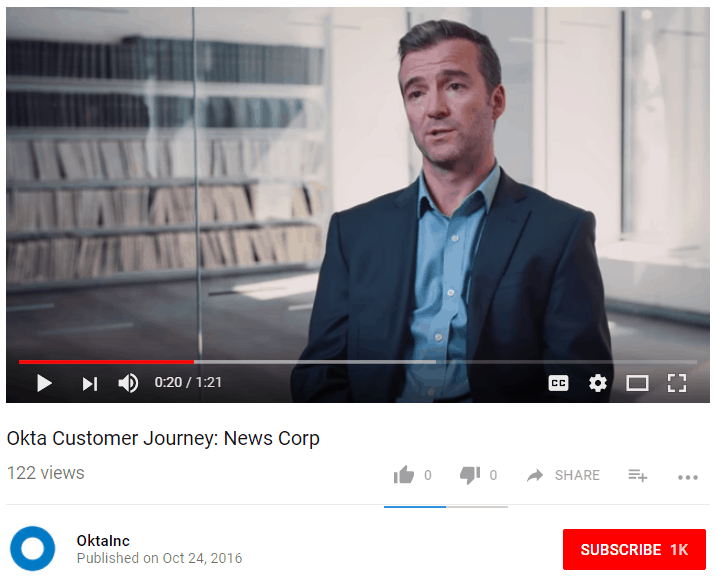 In this video, News Corp, one of Okta’s clients, explains the business challenges they were facing. Their enterprise technology was outdated and inefficient and so they had to replace it. With Okta they found it easier and faster to roll out applications and new tools to all of their 25000 employees worldwide. This helped in better collaboration across teams. 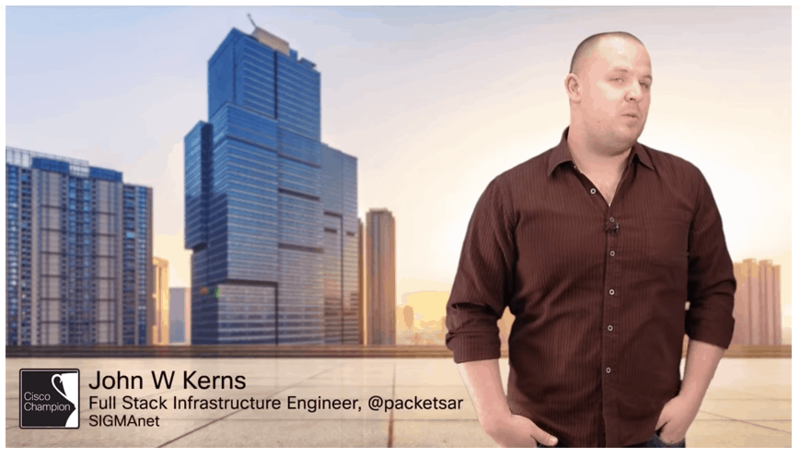 News Corp also says that Okta delivered exactly what they promised – almost 100% uptime. Such testimonials are great for your marketing and can influence potential customers effectively. 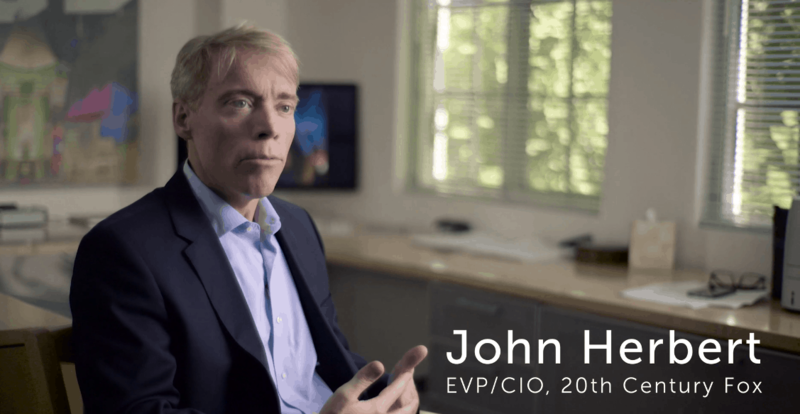 20th Century Fox, another client of Okta, explains in this video, how Okta was able to help in providing a seamless experience across all their cloud-based applications. They even mention how effective Okta’s solution was in helping them scale up from 5000 to 15000 users. Okta relies heavily on their clients to drum up more business for them. These client testimonials usually include a lot of figures, statistics, and actual examples of how Okta helped these businesses. They even turned client stories into blog posts to be further shared on their social media channels. Another great example of leveraging employees in your B2B influencer marketing comes from Landis+Gyr. This is a company that always been a pioneer in the energy sector. Landis+Gyr started a pilot program to create employee advocates, who were active on social media. Their focus was to leverage these employees’ social channels to spread the word about their customer focus, innovative spirit and other values. The results from this pilot were phenomenal. One such campaign yielded over 1500 engagements, 1800 content shares, and estimated earned media of more than $10,800! They were able to educate their stakeholders about the benefits of an employee advocacy program. 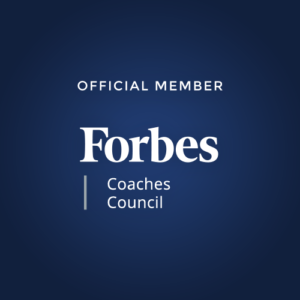 Cisco, a leader in networking and communication technology, uses the Cisco Champions Program for their B2B influencer marketing. Cisco calls their community of IT advocates as “Cisco Champions” and have created a marketing program around them. They use various incentives to get these champions to share their knowledge and expertise on Cisco’s products on social media. The program also allows these advocates to enhance their skills and knowledge by connecting with other professionals. Cisco also gives them exclusive event invitations, access to their products and recognition as incentives. They kickstarted the conversation with #CiscoChat on Twitter. There created a series of unplugged videos with their champions. These influencers were featured in the company’s weekly podcasts too. 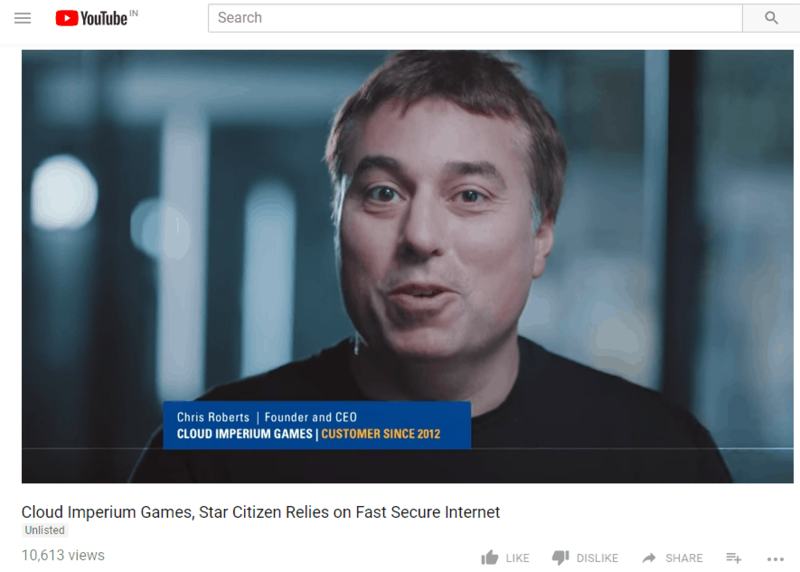 With this campaign, Cisco has been able to generate a massive amount of promotional content consistently. They were able to generate more than 55,000 tweets and a large number of blog posts that got over 44,000 hits and 8,000 mentions on social media! Cisco has also been known to leverage celebrities in their B2B influencer marketing effectively. 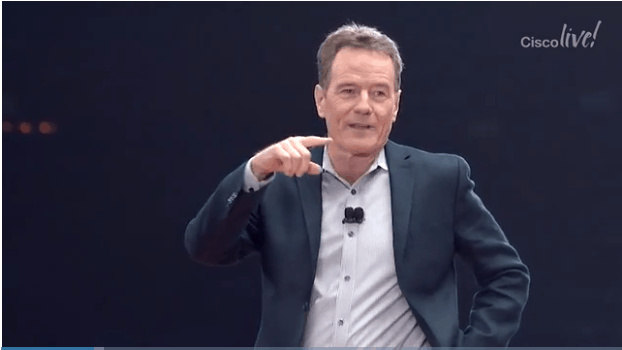 They have recently featured Bryan Cranston, the actor of “Breaking Bad” fame, in their closing keynote at an event. It was a good way of using an influencer to emphasize their brand status. SAP, a leader in the software industry, hosts the Sapphire Conference every year. This conference brings together a large number of industry experts as well as users who gain useful knowledge and insights. Around 20,000 attendees come to the event in person while SAP is able to reach another 100,000 viewers online. In the Sapphire Conference of 2016, SAP ran an innovative B2B influencer marketing campaign. Using Facebook’s Live video feature, they hosted live chats with key influencers. This helped the online viewers get a feel of the real event and even get their questions answered in person. They arranged strategic meetups between the general attendees and influencer based on their areas of expertise. The influencers were also given an opportunity to meet with SAP executives to use their products and provide feedback. Later these videos were uploaded on SAP’s blogs and shared on social media. The influencers too shared such content with their audiences resulting in a win for the brand as well as the influencers. 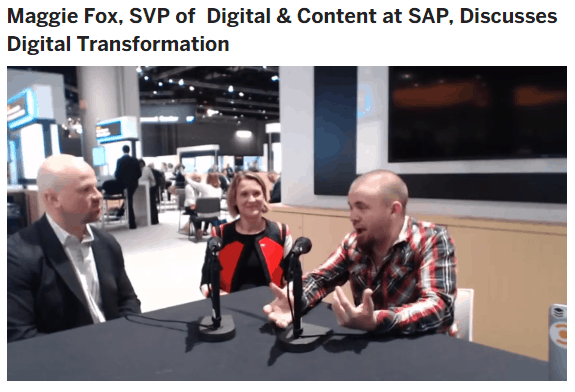 SAP understands the true potential of influencer marketing which is why they leverage it regularly. They collaborate with academics, authors, and business consultants to get their points across. They are all people who have a significant influence on the decision makers in the kind of businesses SAP likes to target. Their main aim is to collaborate with experts to create thought leadership content. Take for instance an IoT Launch event they were running. They had relevant influencers promote the event using a particular event hashtag. Guest blogging is also another powerful B2B influencer marketing strategy. With guest blogging, you can leverage the industry experts to write and share useful insights on your website. Any insights provided by them will influence your potential customers in a positive way. You can also try writing guest blogs for an established blog. This is a very effective technique. Bryan Harris, the founder of Video Fruit once wrote a guest post for an established blog called OkDork. A few days after this guest post was published, he wrote another post for his own website. When he compared the number of visitors who came to his website on these two days, the results were an eye-opener. His usual number of visitors on an average day was 285. On the day that his guest post was published, it became 1086! 73% of these visits were from new users. Also on the day after that, when he published a post on his own website, there were 686 visitors. It’s not just visitor numbers that saw an increase. Within those two days, 215 new users subscribed to his site, giving them a conversion rate of 12%. This gives us a pretty clear picture, then, of just how effective guest posting can be. This clearly indicates that guest blogging on an influential site or by an influencer can be very successful in marketing. It also goes to show that you don’t always need an out-of-the-box campaign. Even a simple guest post with the right influencer can go a long way in having the desired impact. 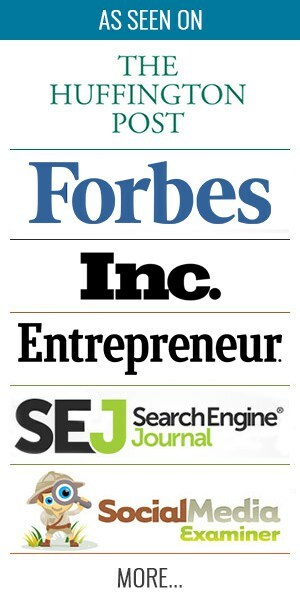 Point Blank SEO is a link-building blog by Jon Cooper. He too believes in the importance of guest blogging in B2B influencer marketing. From his own experience, he has seen that the number of visitors to his blog increased to 400, in just 24 hours of him being featured as a guest blogger on Moz. Since then, the number of visitors to his blog has been increasing at a steady pace. Time Warner Business Class has used the success stories from their existing customers. Since potential customers trust the opinions of other customers and their recommendations, this is very effective in marketing. They’ve created a series of engaging videos using their client success stories, for promoting themselves. Here is an example of one such video from their client, Cloud Imperium Games. Their clients outline how Time Warner Cable was able to help them achieve their goals. The videos also included a call-to-action asking the viewer to download an ebook – “Mighty Mid-Market.” This gives interested parties information about how their connectivity solutions can help their businesses. When your customers speak about how they were benefited by your products, it can help in building credibility. Hence your customers can be great influencers among your target audiences. PricewaterhouseCoopers or PwC is one of the leading accounting firms in the world. They ran a bit of a quirky B2B influencer marketing campaign for last year’s Oscars. They promoted this campaign on social media using the #BallotBriefcase hashtag. PwC was responsible for getting the ballots safely to the Oscars ceremony. However, not many people were aware of the role they had to play here. So they used this opportunity to market their brand. In the 2015 Oscars, Neil Patrick Harris had used the ballot briefcase as a magic prop. 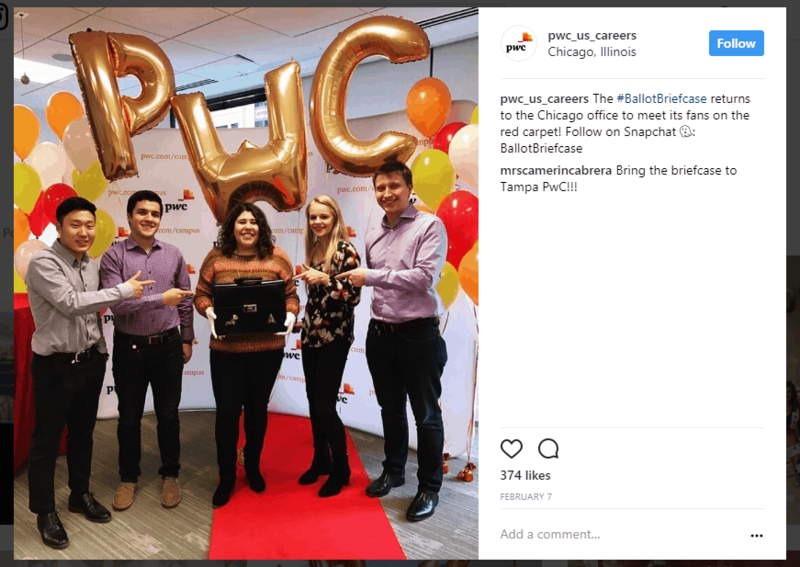 PwC decided to use the briefcase for their marketing campaign. They gave the briefcase the personality of a famous star. The celebrity briefcase even engaged with followers on Snapchat. In the days before the ceremony, they carried their influencer (the briefcase) to a number of cities, posed with their own employees and promoted it on Snapchat. They had three objectives with this influencer campaign. The first of which was increasing the visibility of their role with the Oscars. Secondly, they wanted to reposition themselves to appeal to a younger audience. Finally, they wanted to leverage employee advocacy to get a generate buzz. By the look of those numbers, it’s safe to say the mission was accomplished. It should come as no surprise then, that the campaign won a Shorty Award. I am, of course, referring the 8th Annual Shorty Awards ceremony where PwC bagged the best Business to Business award. B2B influencer marketing certainly is not as easy as other forms of marketing. Some of the key lessons that we’ve learned so far is that your customers and your employees can be your key influencers here. Since choosing an influencer is often the key to the success of your campaign, it is necessary to maintain great relationships with them. Make sure that you have programs around incentivizing your employees so that they feel the urge to promote your brand on social media. Also, keep a regular dialogue open with your customers and go out of your way to help them. Not only does this help you in creating opportunities for repeat business, but also paves a way for successful B2B influencer marketing.